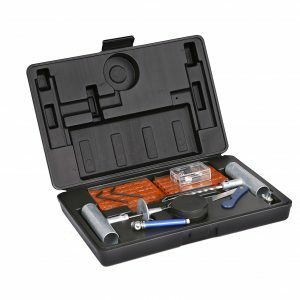 Wynnsky's Tire Repair Tool Kit contains the essentials that you will need to repair standard tires. For convenience and easy storage, all of the contents of this kit comes with a storage plastic box and an instruction booklet is included. The tools in this kit are made of durable and high-quality materials and will service you for a long time. Wynnsky's 37-Pieces Tire Repair Tools Kit is ideal for tubeless tires of motorcycles, ATVS, Tractors, Lawn Mowers, Trucks, Jeeps, Cars, and Bikes. 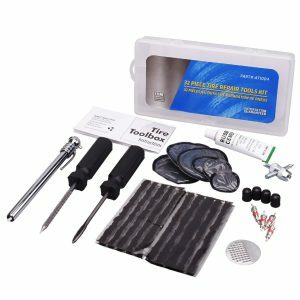 This kit is a convenient set that has everything you need to repair tubeless tires on your own on the go. The tools in this kit are made of durable and high-quality materials and will service you for a long time. 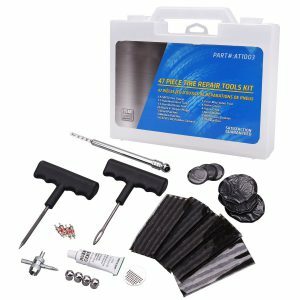 Wynnsky 47pcs Tire Repair Plug Kit contains the essentials that you will need to repair standard tires. 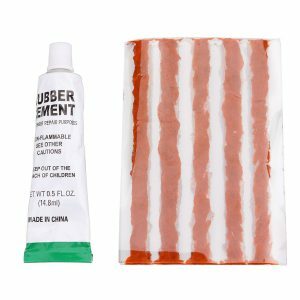 For convenience and easy storage, all of the contents of this kit comes with a functional handle carry case and an instruction booklet is included. The tools in this kit are made of durable and high-quality materials and will service you for a long time. 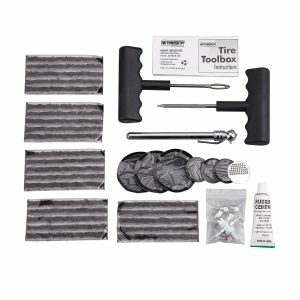 Wynnsky's tire repair tool kit is a compact and convenient set that has everything you need to repair tubeless tires on your own on the go. Additional quality high visibility orange blow molded case to keep contents protected. The tools in this kit are made of durable and high-quality materials and will service you for a long time. Wynnsky's T- Handle Tubeless Tire Repair Tool Kit is ideal for tubeless tires of motorcycles, ATVS, Tractors, Lawn Mowers, Trucks, Jeeps, Cars, and Bikes. Comes with 5 string plugs. 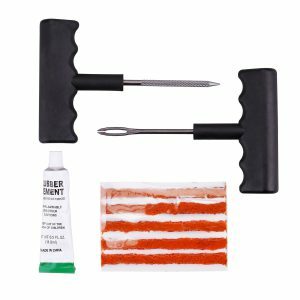 The tools in this kit are made of durable and high-quality materials so you can get the job done and get back on the road. If somehow you're strong enough to render one of our tools ineffective, our products are covered by a 1-year warranty and our customer service is second to none. Believe it will service you for a long time!